Among the most precious of furs must be reckoned those of the silver and blue fox. The silver, or, as it is sometimes called, black, fox, is found in Alaska, Columbia, and the Hudson Bay Territory. The best skins come from Labrador, and many of the finest find their way into the London market. The silver fox has black legs, a thick, bushy tail, and is smaller than its European relations. Its feet are peculiar. Richardson says: The black and silver foxes have the soles of their feet thickly covered with wool in the winter; no callous spots are then visible." Silver fox fur is rare, but for softness and firmness it has no equal. As regards colour, it is a beautiful rich, glossy black, and the longer and outer hairs are silvery white. This contrast in shade is most attractive. The neck of the silver fox is black, and this black fur extends behind the shoulders and down the back, sometimes almost to the quarters. A single skin of fine silver fox is worth £150, and one of great beauty will fetch at least 200. A muff of the best silver fox fur would cost £150, and a long stole about £300; indeed, the price of the latter might run even to £600 or £700. Silver fox is a fur which seems to harmonise with everything, and this, no doubt, is one of the reasons for its popularity among Parisians. Natural black fox of the best quality is a fur of almost fabulous value. A good black skin, with only the characteristic white tip at the end of the tail, will fetch a fancy price in the fur markets. Dress quality would now be worth £12,000, The finest black fox fur has become a rarity. There are but two or three quite Mack skins in a whole year's collection, and some immense districts do not produce one such skin during an entire winter. In fact, the best black and silver fox furs are so costly that most of us wish in vain for luck such as befell Nansen, the famous explorer. Once, when encamped in the Arctic regions, he laid wait for foxes which had stolen hams from his stores, and was fortunate enough to bring to his gun a number of the true silver foxes. Their fur was worth almost its weight in gold, and for such skins as these skilled trappers had searched in vain under conditions of the greatest hardship. Blue fox - so-called - is brownish grey in colour, or, in the best specimens, deep slate. The blue fox is smaller than the silver variety, and has a thick, bushy tail, and black legs, which are longer than those of foxes found in Europe. The fur is of high price and a most delicate beauty. A muff of the finest blue fox would cost from 40, and a stole from 50 to £80. This rare animal is found in Greenland, the Pribylov Islands, and the Hudson Bay Territory. Blue fox was the favourite fur of Catherine de Medici, and at that time one of the most highly prized furs in existence. It does not, as some writers say, turn white in the winter. It always remains a blue fox. Several other members of the fox family produce fur which is useful and decorative. There is the Arctic, or white, fox, the red fox, the grey fox, and an iron-yellow fox found in Tartary. The skin of the latter is known in the trade as Cossack fur. 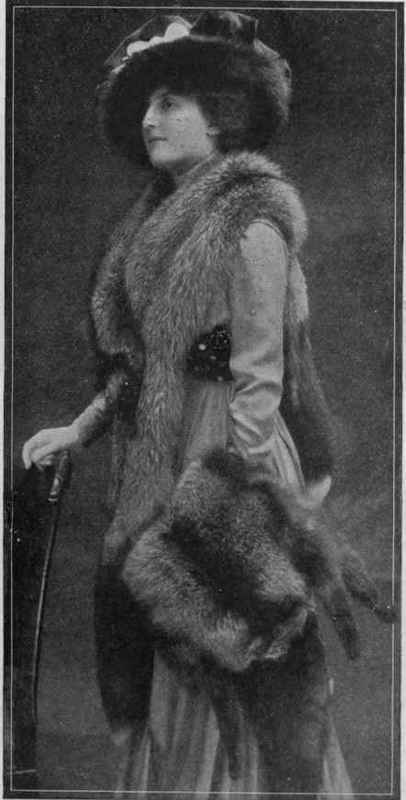 Silver fox muff and stole Copyright International Fur Store small, and used chiefly lor collars and trimmings. The Arctic fox is a small creature only two feet in length, and its coat, brownish in summer, becomes pure white as winter approaches. 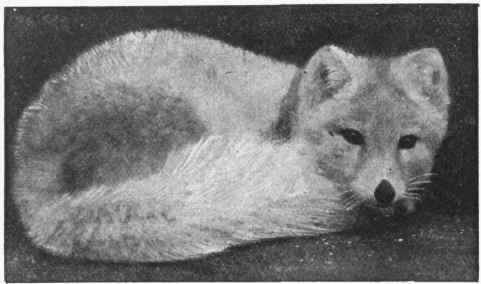 The white fox breeds on the sea-coast, and lives chiefly within the Arctic circle. The best and whitest skins come from the shores of Labrador. This species of fox is said to be best for dyeing purposes, as its skin is less liable to change in colour after the process. White fox fur seems to be always in high favour. It is soft, fluffy, and becoming, but looks its best when worn by a blonde, or by a young, fresh girl. This snow-white fur is not suitable for wear under the grey skies and in the smoke and fogs of London. Arctic fox fur frequently needs cleaning, but this can be done at small expense, as the stitches need not be unpicked nor the skins treated in revolving drums full of hot sand and sawdust of a special wood - a method used by furriers when furs need more than a superficial treatment. A white fox muff costs about £1, and a stole perhaps £20; but the price, of course, depends upon the colour and quality. The American fox is red like its British relation. Its fur, however, is not used much in this country. The grey fox comes from Virginia and other southern states, and is never found north of Maine. The fur is not of much value, but makes up into rugs and footbags. The Chinese fox is of a pale yellow colour. The skins are cheap, but not attractive. The Fox: Its Habits, etc. Foxes are a group of animals that belong to the dog family. They average from two to four feet in length, and are characterised by their slight build, long, thick tails, short legs, and long ears. The pupil of the eye is el 1 ipt i c a 1 when contracted, and not circular, as in dogs, wolves, and jackals. They indulge in a wide range of nutriment. Their food includes animals of the size of fawns and lambs, mice, rats, birds, fruit, and vegetables. In habit foxes are nocturnal and usually solitary. They are hard to trap, and seem equally skilled in running, jumping, crawling, and swimming, and have even been known to climb trees in search of birds' eggs and other provender. Their dens are often on the sides of hills, and consist of a central chamber, with several means of exit. Their mental qualities are of a high order. They are patient, prudent, resolute, and resourceful, have a strong memory, and a keen sense of locality. Also, they are to the last degree artful and cunning. To come unawares upon an Arctic fox is said to be impossible. 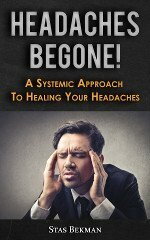 Even when in a sound sleep the creature will open its eyes at the slightest sound which is made near it, although it pays no heed to sounds that come from a long distance, and it can modulate its bark so as to give the idea that it is far away when at the moment it lies close to one's feet. Fallacies exist on the subject of furs as on most other mundane affairs. Many , of us imagine that the centre of the fur trade is at Nijni Novgorod, in Russia, and that each season the finest skins find their way from there to the shops of retail furriers in St. Petersburg. But this is not the case. The world's prime market for furs is London. The sable and silver fox sold in St. Petersburg, the sealskin and beaver sold in Toronto, and the chinchilla on view at Lima have usually passed through the London market, and then made the journey back to Russia, Peru, and Canada. Arctic rox in winter coat Photo by IV. 5. Berridge, F.z.s. London, moreover, is the best place in which to buy furs; the buying of furs in Norway, at Carlsbad, or at Monte Carlo is not so economical as some women seem to imagine. Again, the stock of furs held in London is much larger than elsewhere; in London the retail furrier can match the finest skins that may be required by an exacting customer. The great London houses have a worldwide trade. They supply fur to the Courts of Europe, and have provided most of the Coronation robes that have been worn during the last few generations. Even the black fox skins for the wondrous coat that belonged to the late Emperor of Russia were supplied, and the coat itself made, by a London furrier, although the foxes had been trapped in the Tsar's own dominions. Few persons have any idea of the magnitude of the fur trade. The lists of furs sold at public auction in London showed that during one year the Hudson Bay Company sold 670 skins of silver, 3,165 of cross, and 4,898 of white foxes. These, however, are small quantities when compared with the vast store of furs imported by private enterprise from the United States, Canada, and other British provinces in North America. A list of the above states that in one year there came to our market 1,503 skins of silver fox, 4,458 of blue fox, 5,460 of cross fox, 47,725 of grey fox, and no fewer than 77,705 of the white Arctic fox. As a rule, the nearer an animal lives to the Equator the more brilliant will be the colour of its fur. Animals that live in wodds and forests give finer fur than those which live on open prairies. Sea air coarsens and thickens fur; hence sables trapped inland have finer coats than sables from Kamtchatka. Most furs can be copied with fair success, but silver fox -stands almost alone in that it -is above imitation. Its great price sets it apart, as no one would give £150 or more for a single skin unless she were certain of' the genuine article. White fox, however, can be easily copied. For this purpose the skins of white hares are used, and the black fox fur of everyday life is made 'from the skins of white foxes or red foxes, dyed to the required colour. These, however, must not be termed frauds, as they are confessed imitations.